Which make and colour of paint was used here please? 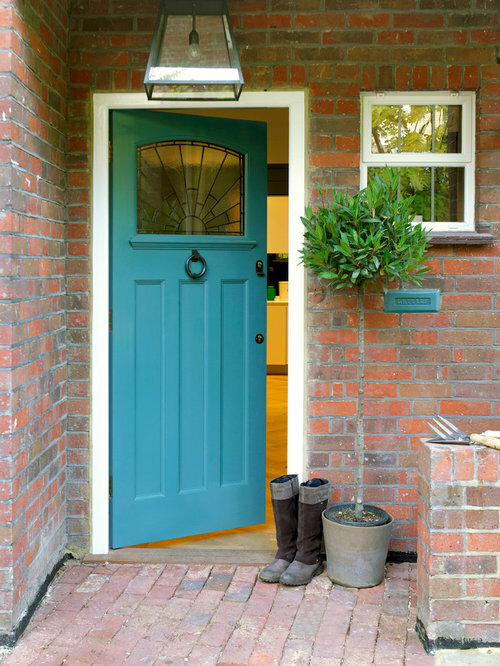 Can you tell me the make and colour of the door paint please. It looks great. Which kitchen worktop (colour and type)? Which colour wallpaper suits here?